4 in 1 flash light, laser pointer, ball pen and extensible ferule. 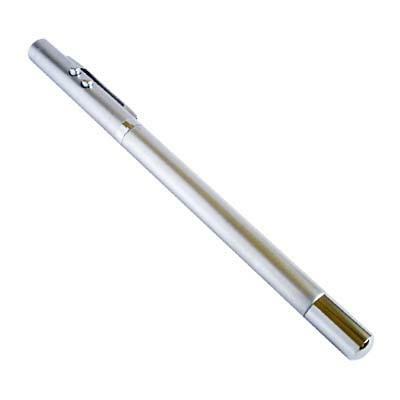 Stainless steel pen. 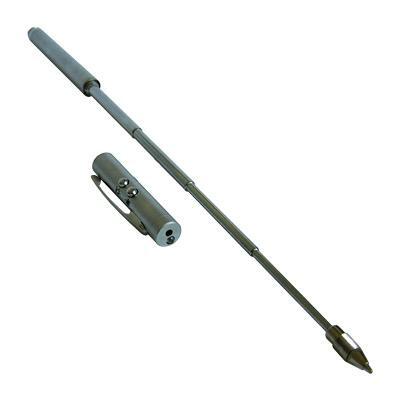 Extensible pointer up to 54cm. LED Flashlight Color: Red and White. Batteries are included. 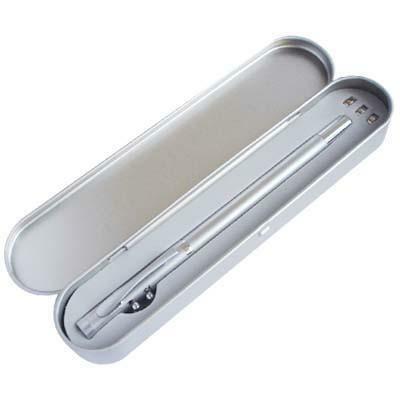 Portable kit works as handy torch, office/school presentation, sales demonstration, etc.